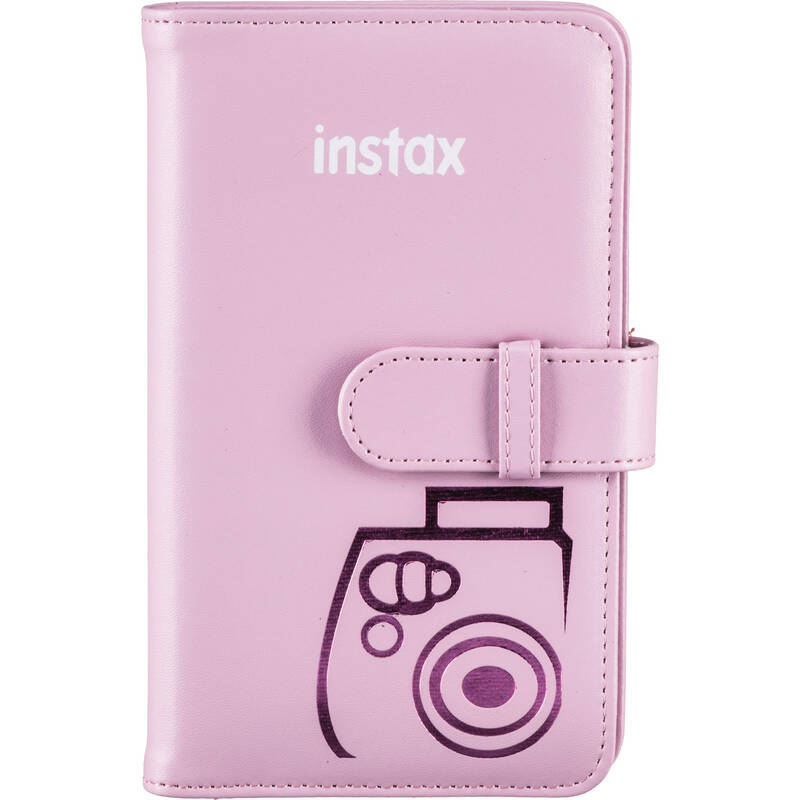 Keep your INSTAX Mini instant prints protected and organized in the pink FUJIFILM INSTAX Mini Wallet Album. Designed to hold three 3.4 x 1.8" prints per page, this album can display up to 108 images total if both sides of the page are used. Its book-bound style keeps your images safe and secured from dust and damage within a day bag or on display in your home. Box Dimensions (LxWxH) 7.7 x 4.5 x 1.0"
INSTAX Mini Wallet Album (Pink) is rated 4.9 out of 5 by 34. Rated 4 out of 5 by Anonymous from An album to protect and showcase photos! I purchased this for my daughter to keep her photos. A nice album to showcase all her photos to share with her friends! Rated 5 out of 5 by Chase H. from Good for storage Great way to store pictures from my Leica Sofort. Not too fancy, but good for storing and reviewing. Rated 5 out of 5 by Raymond from Great storage. Nice compact size where you can carry it around to show your photos. Rated 5 out of 5 by Anonymous from Mini Series Wallet Album This product is perfect for storing your fujifilm polaroids! Rated 5 out of 5 by Shahrzad from super cute its great for keeping your Fujix photos. Rated 5 out of 5 by Janet from My rating is a 5 star Very pleased with this product and the price. Other places charged almost twice as much. Most definitely pleased with the no charge for shipping even though it was inexpensive. Delivery was prompt. First time I ordered from this company and will definitely order again. Ordering from the website was easy too. Is the album acid free archival quality? This product is made of Poly Synthetic Leather, it is not archival quality. How many pictures will this hold ? The album will hold 108 photos.